The Marcellus Shale Coalition filed 71 pages of commentary on the legal problems with the proposed DRBC fracking ban. Read it and weep if you’re the DRBC. The Marcellus Shale Coalition has jumped into the battle over the proposed DRBC fracking ban in a big way. It filed 71 pages of comments with the DRBC on March 29, which may be found here. There are three elements to the submission; (a) a tough letter from David Spigelmyer, MSC President, (b) a lengthy legal analysis, and (c) supporting technical comments. All are excellent and the message for Steve Tambini, the DRBC Executive Director, is simple; your failure to lead is going to make you the fall guy for having destroyed the reputation of this agency, even though it was your predecessor who took the first fatal steps. Carol Collier, the former Executive Director of the DRBC, was the individual who decided the DRBC would go a different direction on gas drilling and created the mess we now have. Her vision of the DRBC, contrary to those who went before her, was as a regional super-agency responsible for regulating land use and protecting the environment. She colluded with the Delaware Riverkeeper and its funder, the William Penn Foundation, to engineer a moratorium on gas drilling that would be in place forever but for the currently pending lawsuit from the Wayne Land and Mineral Group. Steve Tambini had an opportunity to straighten it out and apparently made some moves to do so. But, in the end, he has turned out to be a weaker leader than Carol Collier and left the agency like a canoer without a paddle trying to navigate Skinner’s Falls; batted against first one rock and then another as the politicians have treated the agency like a rubber ducky. He has become the perfect follower and now simply does what he’s told by his Commissioners without any attempt to educate them on the issues, the implications or the likely outcomes. There’s not so much as a thread of independence left in the agency. It is now captive to the Machiavellian pols and the special interests they seek to appease. The DRBC has no authority to prohibit so-called High Volume Hydraulic Fracturing (HVHF) permanently in the basin. Not only does the plain meaning of the Compact preclude finding that DRBC has such authority, but the long-standing history and negotiations of the Compact offer clear evidence that neither Congress nor the DRBC Compact States intended for the DRBC to have the authority to ban any industrial, commercial or residential use of land in the basin. It is clear that a majority of commissioners have already made up their political minds on this matter. Indeed, while DRBC staff stressed publicly several times that no final decision or action had yet been taken by hosting multiple public meetings and extending the public comment period, it is noteworthy that on September 13, 2017 a majority of the commissioners issued a press release congratulating themselves on banning natural gas development within the watershed and depriving their own citizens of their fundamental private property rights. Pennsylvania Governor Tom Wolf demonstrated the blatant political motivation of this rulemaking by stating that he “supported this resolution since was a candidate for Governor of Pennsylvania.” Such a statement renders consideration of any actual science and data moot, while relegating the public comment period to a charade. Ironically, Governor Wolf recently extended an agreement with the state governments of Ohio and West Virginia to enhance regional cooperation and further the development of natural gas within the Appalachian Basin. The Commission has failed in its most fundamental responsibility: to allow reasoned science and the interests of the citizens it represents to guide its actions and decisions. The Commission unlawfully and permanently seeks to take the property owned by landowners in Pennsylvania and neighboring states without due process or just compensation. It substitutes the political interests of elected politicians for the inherent rights of the citizens they represent by asserting falsely and without justification that natural gas cannot be developed safely within the watershed. The proposed DRBC fracking ban would prohibit high volume hydraulic fracturing within the Delaware River Basin. Because Pennsylvania is the only Basin state with significant gas reserves that does not already prohibit HVHF activities, the ban would impact it only. The foundation for the ban relies, as a practical matter, upon speculated risks of inadvertent spills and releases that do not qualify as legal justification. Water acquisition, consumptive use, siting and landscapes are already addressed by other Compact provisions, leaving only Section 5.2 and reliance upon potential spills and releases as ban excuses. Yet, DRBC staff, relying upon Pennsylvania DEP, previously told a Federal Court, in another matter, how Pennsylvania’s comprehensive regulatory program eliminates, reduces, and minimizes the very same perceived risks that it now asserts to justify a ban. The DRBC also cites its own regulations as authority for the ban, but, as a creature of the Compact, the agency has only those powers conferred upon it through that agreement and accompanying legislation. The DRBC cannot expand its own authority, as it does in this case. This case law is why, since its creation in 1961, the DRBC has not attempted to ban refineries, nuclear power plants, chemical plants, pharmaceutical manufacturers, commercial farms, or, until recently, well pads and natural gas wells; it doesn’t possess the authority. More importantly, it cannot expand its authority through the back door. Jurisdiction to classify waters and establish standards for, and require, treatment of wastes that are discharged into those waters, does not entitle the DRBC to ban an activity or preclude an otherwise lawful use of private property. If the DRBC had such broad authority, it could simply use it to ban any human activity that might cause pollution. The DRBC is not, and was never intended to be, a regional super-regulator or zoning authority, with veto power over the use of private property. If DRBC attempts to so expand its authority go unchallenged, the DRBC would, in effect, have a form of police power exceeding States. Under the guise of controlling “future pollution,” the DRBC would be able to dictate when, where, and under what conditions any human activity can occur in the Basin. The DRBC’s core mission was, and properly remains, coordinating development of water projects to meet water needs of Basin residents and New York City. The DRBC has historically understood its authority was limited to classifying waters of the Basin and establishing standards for, and requiring, treatment of wastes discharged into those waters. 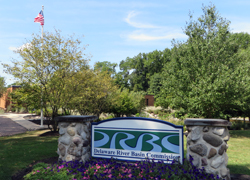 In 1973, in response to the 1972 Federal Water Pollution Control Act amendments, the DRBC relinquished its program on pollution abatement schedules in favor of the federal NPDES and state programs. It said it was now spending more time coordinating and reformulating water quality standards, reworking assimilative capacity allocations, developing better monitoring programs” and occasionally arbitrating some interstate issues. Summarizing, the DRBC’s interpretation and application of its Compact over many decades provides compelling evidence it has always understood Article 5 authority to be limited to classifying waters and establishing standards for, and requiring, treatment of wastes discharged into those waters. It has never interpreted Article 5 to authorize a wholesale ban on anything. There are other legal problems as well. The ban would result in categorical and other regulatory “takings” of property, for example. Because vertical wells would not be feasible as a means to recover gas in the Basin, the ban would fully and permanently prevent owners of but gas rights from making any economical viable use of their property – a categorical regulatory taking. There is also a good argument for regulatory takings in the case of owners with surface and gas rights on the basis that there is no environmental justification for the huge declines in property values. Even assuming, for argument’s sake, the ban would not effectuate regulatory “takings” of property in the Basin, it would, nevertheless, violate substantive due process principles. There is a wealth of evidence to show, contrary to DRBC claims, shale gas production activities are safe for water and other environmental resources. There is, therefore, no rational basis for a ban. The proposed permanent ban would likewise run afoul of equal protection principles. When a governmental action creates a discriminatory classification system, the validity of the action, from an equal protection perspective, is determined by certain tests, including whether the discrimination bears “a rational relation” to a legitimate governmental purpose. The proposed permanent ban would not pass the test as it would effectively prevent members of the oil and gas industry from producing gas in the Basin but, at the same time, would not prevent those in other industries from undertaking their business operations in the Basin. This discriminatory classification system, in other words, would not “bear a rational relation” to a legitimate government purpose. It would be arbitrary and irrational because it would be premised on a perceived risk of spills and releases from one activity (HVHF) in one industry (oil and gas), even though there is an equal or greater risk of spills and releases from various activities that occur in various other industries, including the refining, energy-generation, chemical, landfill, paper, technology, farming, sewage, wastewater treatment, and housing. Finally, as a general matter, an agency action will be set aside if it is arbitrary, capricious, an abuse of discretion, or otherwise not in accordance with the law. The DRBC identifies what it claims are certain undue impacts that HVHF activities have on “Water acquisition,” “Consumptive use,” and “Siting and Landscapes.” but as the MSC’s technical comments and information demonstrate, shale gas production activities do not unduly impact those things any more than, and in many respects less than, other business operations that are conducted in the Basin. Because the undue impacts are merely imagined by the DRBC, a ban would not be justifiable as means of addressing them. DRBC action must be supported by “substantial evidence” that simply doesn’t exist in this case. These are the hurdles DRBC fracking ban has to overcome to be successfully implemented and they are many and high. The Marcellus Shale Coalition has done the citizens of the the upper Delaware River Basin right by these comments. The association deserves our many thanks for a job superbly done. The post Marcellus Shale Coalition Lays Out All the Legal Flaws in DRBC Fracking Ban appeared first on Natural Gas Now.